Adda52.com announces one of its biggest Poker events known as the ‘Poker Millionaire Tour’ with prize pool of Rs. 1.3 Crore for the taking. 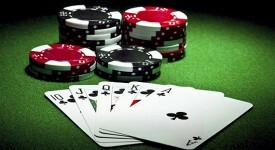 It is the largest Poker festival in Indian history as it promises to give away cash prizes of Rs.1.3 Million. Starting from September, the series will go on December with two major events – ‘Diwali Dhamaka’ in October and Player of the Series( POY) in January. Apart from the huge prize pool at stake, it is also the first time that any Indian Poker site will run a continuous poker series running across 4 months. The various tournaments of this series will be held on every 1st, 2nd, and 4th week of the months September, October, November, and December. The entry fee for every 1st week of all the months is between Rs.800-Rs.1500, with satellites also scheduled. The total prize pool for these 1st week tournaments is Rs.5 Lakh. This time Adda52 has decided to cater to the players of all poker tastes thus it has included ‘Freezeout events of Texas Hold’em’, ‘Rebuy events of Texas Hold’em’, and ‘Pot Limit Omaha Freezeout’ event for all the 1st week tournaments. The 2nd week of every month will have tournaments with entry fees of Rs.800, Rs.1000, and Rs.3500 with satellite qualifiers. The total prize pool for these tourneys has been raised to 8 Lakhs. The type of tournaments that will take place in 2nd week tourneys are ‘Texas Rebuy’, Texas Freezeout’, and ‘PLO Freezeout’. The tournaments occurring in every 4th week of these four months have entry fees of Rs.1000, Rs.2000, and Rs.3500 with total prize pool of 12Lakh. The types of tournaments that are introduced in this format are ‘Texas Freezeout’, ‘Texas Rebuy’, and ‘PLO Rebuy’. Again satellite qualifiers will be running for as low as Rs. 350. Apart from these weekly tournaments, a bumper tourney that is there for all Poker lowers is ‘Diwali Dhamaka’. The ‘Diwali Dhamaka’ tournament will have a huge prize pool of Rs. 27 Lakhs with tournament buy-ins starting at Rs.1000. This tournament will have No Limit Texas Hold’em events in both Freezeout and Rebuy format. Satellites start for as low as Rs. 150 only. The poker fun doesn’t end here but culminates into the 3rd Season of the very popular and prestigious tourney of Adda52.com- ‘Player of the Series’. This finale will be on 03rd of January 2015 wherein the participants will have multiple chances of qualifying and play for the biggest poker prize pool of online poker in India i.e. Rs.15 Lakhs. In totality, Adda52.com is putting at stake prizes worth Rs.1.3 Crores, which is the biggest prize pool that has ever been offered by any Indian Poker site for any Poker series. So, what are you waiting for?? Just grab this opportunity and celebrate this festive season by winning more and more money. Click here for more details on PMT.